The InterPlanetary File System (IPFS) can be used to provide files in a more efficient and distributed way than HTTP. Our filesystem repo already has the go-ipfs client. http://opensuse.zq1.de./tumbleweed/repo/oss/ . During my testing I found that the results are sometimes inappropriately cached on the Cloudflare CDN, so if you used it under this URL without the ipfs client, this might throw signature errors in zypper. > host -t txt _dnslink.opensuse.zq1.de. _dnslink.opensuse.zq1.de is an alias for tumbleweedipfs.d.zq1.de. This is a permalink: http://127.0.0.1:8080/ipfs/QmSXEVuU5z23rDxMyFYDhSAUaGRUPswuSXD3aVsBEzucjE also browsable via any public IPFS gateway. This means, it will always remain on the 20190401 version of Tumbleweed and no changes in content are possible – similar to how a git commit ID always refers to the same data. So why did I create this IPFS mirror? That is related to my work on reproducible builds for openSUSE. There it regularly happened that published Tumbleweed binaries were built with libraries, compilers and toolchains that were no longer available in current Tumbleweed. This prevented me from verifying that the published binaries were indeed built correctly without manipulation on the OBS build workers. Now, with this archive of rpms easily available, it was possible to verify many more Tumbleweed packages than before. And most importantly, it remains possible to independently verify even after Tumbleweed moves on to newer versions. This data is going to stay available as long as anyone pins it on a reachable server. I’m going to pin it as long as it remains relevant to me, so probably a bit until after the next full Tumbleweed rebuild – maybe 6 to 12 months. Thus, it now is even less easy to sneak in binary backdoors during our package build process. Last week I attended the reproducible builds world summit in Paris. It was very well organized by Holger, Gunner and their hidden helpers in the background. Very similar to the last 2 summits I attended in Berlin. Because we were around 50 participants, introductions and announcements were the only things done in the big group. All actual work happened in 5-10 smaller circles. We had participants from large companies like Google (with bazel), MicroSoft and Huawei, but also from many distributions and open source projects. Even MirageOS as non-Linux OS. We did knowledge-sharing, refine definitions of terms, evolve concepts like “rebuilders” for verifying builds and allow users to better trust software they install, and such. a jenkins job that renders the list of unreproducible openSUSE Factory packages. Also, my maintainer tool now has added support for the Alpine Linux distribution, thanks to help by one of its maintainers: Natanael Copa. This is meant to help all cross-distro collaboration, not just for reproducible builds. There is still work to be done to make better use of Mitre CPE to map package names across distributions. I think, one major benefit of the summit was all the networking and talking going on, so that we have an easier time working with each other over the internet in the future. kiwi has long been the one standard way of building images in openSUSE, but even though there exist extensive writings on how to use it, for many it is still an arcane thing better left to the Great Magicians. after I found out that it even works in OBS, including publishing the result to our mirror infrastructure. It is still in rpm format because of how it is produced, so you have to use unrpm to get to the image file. This method uses 3 parts. The good thing about it is that you do not need specialized external tools, because everything is hard-coded in the scripts. And the bad thing about it is that everything is hard-coded in the scripts, so it is hard to share general improvements over a wider range of images. But it can build anything you want. So what images would you want to build? After more than two years of development, 15 pre-releases and more than 2000 commits we proudly present release 2.0 of the DocBook Authoring and Publishing Suite, in short DAPS 2.0. DAPS lets you publish your DocBook 4 or Docbook 5 XML sources in various output formats such as HTML, PDF, ePUB, man pages or ASCII with a single command. It is perfectly suited for large documentation projects by providing profiling support and packaging tools. DAPS supports authors by providing linkchecker, validator, spellchecker, and editor macros. DAPS exclusively runs on Linux. The NVIDIA drivers for openSUSE 13.1 took a while to appear. Many users have asked why this was and we’d like to explain what happened and what we plan to do to prevent this in the future. This post was written with input from the openSUSE developers who maintain these drivers at SUSE and work with NVIDIA to make them available for our users. Legally, the Linux kernel GPLv2 license leaves proprietary binary drivers in a bit of a tangle. While some claim it should be OK, others say not – and that is what most distributions currently assume: one can not ship a Linux distribution with proprietary, binary drivers. NVIDIA has agreed that our users can grab their drivers from the official NVIDIA servers. They are packaged by SUSE engineers however. They take care of both SLE and openSUSE proprietary driver packaging for NVIDIA hardware, and have contacts at NVIDIA who get the drivers up on their ftp mirrors. The packages are build on a dedicated system, but the package spec (skeleton for building) is in OBS – for example, G03 is here. Anybody could use these to build the nvidia driver locally (the nvidia binary driver is grabbed from the nvidia driver during building). The command sequence for local building can be found in the README. Once the packages are build, they are send to NVIDIA, which signs the packages with their key and generates and signs repositories, making them available to the public. To note is the fact that this is all manual and takes a while on NVIDIA’s side (and ours). This of course is part of the reason why we don’t offer NVIDIA packages for Factory, our fast-rolling development repository. What occurred for 13.1 is a typical case of “everything went wrong”. Up until a few weeks before the release, the driver did not build against the Linux Kernel version 3.11. NVIDIA warned against the use of a patch for this problem created by third parties so the driver team did not have a running build. Due to a holiday, it took a while to get the packages build and pushed to NVIDIA. Unfortunately, by the time this was done, the holiday period at NVIDIA blocked progress for another week. Once the package was signed, it took the webteam at NVIDIA another week to get the repository published. 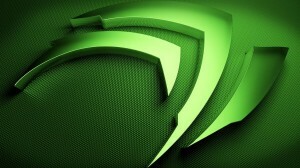 It all added up to almost a month and brought quite some inconvenience for users eager to use their latest NVIDIA cards with the latest openSUSE. About a week later, the openSUSE 13.1 NVIDIA drivers disappeared again from the nvidia servers for a day or so. We don’t know exactly what happened there, it might have simply been a server issue. The first and most obvious thing to change would be to improve coordination. The developers taking care of the NVIDIA packages should be made aware as early as possible about the release planning and a replacement in case for holidays should be available. We noted this in our 13.1 release report and will make sure that there will be a task in our task tracker for this for the next release. We also need to talk to NVIDIA about this to make sure that there, too, somebody can fill in for SUSE’s contacts. We’ll have to see which of these we can implement, when and how. But rest assured that we will do what we can to prevent this in the future! We got a new armv6 based image for the Raspberry Pi. This one is only 82MB compressed, so pretty minimalistic. The exciting new thing is that this was created using an alternative image building automatism which I wrote from scratch in three hours this morning. This means that everyone can now easily build his own images the way he likes and even branch and do submit requests for changes that are useful for others. The way to use this is simple. This pseudo-package does not easily build within OBS or osc alone because it needs root permissions for some of the steps (chroot, mknod, mount), which could only be workarounded with User-Mode-Linux or patching osc. First, osc build is used to pull in required packages and setup the armv6 rootfs. This can build an image from scatch in three minutes. And my Raspberry Pi booted successfully with it within 55 seconds. So if you wanted to play with openSUSE on RPi, you can do so right now and have a lot of fun. The kernel was compiled with Clang (C frontend of LLVM) and boots into a running openSUSE desktop! With established ARM support in OBS the as well as emulated MIPS and PowerPC is getting more mature, the last big embedded architecture not working in OBS with QEMU user mode was SH4. QEMU developers community had done a lot of work in improving QEMU user mode during the last months, so I can proudly present with currently only a few patches to QEMU git master OBS builds working with the SH4 port of Debian Sid. The new QEMU 0.13 released recently is a big milestone for this. Another news is that I had fixed the bugs in Virtual Machine builds (build script) when using them with some architectures like PowerPC 32bit and SH4. So now also the combination of using for example KVM (XEN should also work) in a worker together with ARM, MIPS, PowerPC and SH4 is working. The appropriate fixes are in one of the next build script releases (if not even released already now with OBS 2.1, I have to check that). You can select architecture “sh4” with OBS 2.1 and also start a scheduler with “sh4”. With the use of the QEMU User Mode, you can build also accelerated native cross toolchains for your host architecture so time critical parts like the compiler can run without the emulator. This works with .deb as well as with .rpm based backages. 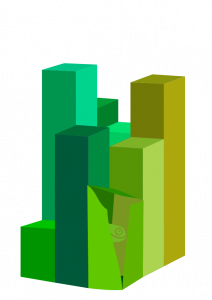 The MeeGo Project as well as the openSUSE Port to ARM uses this technique to provide an optimum between compatibility and performance. It means you can mix natively build packages and use cross toolchains on it. The “CBinstall:” feature helps you to use native or cross builds automatically depending on if your build host is a native machine or a x86 machine with cross build. In summary, we have the current classics of linux embedded archs together now in OBS: ARM, x86, MIPS 32, PowerPC 32 and SH4. I have uploaded the fixed QEMU package to the OBS project openSUSE:Tools:Unstable inside the package “qemu-devel” after some more testing. I have of course also a OBS meta prjconf file working with Debian Sid. The SH4 port of Debian Sid you can find at Debian Ports Site. And last but not least I would like to thank Riku Voipio of the Debian Project, QEMU project and MeeGo project and other major contributors during the QEMU 0.13 development cycle for the restless work on QEMU user mode improvements. In case of KVM, QEMU is used even twice, with QEMU-KVM as well as QEMU User Mode. I am sure I had forgotten other important people, so thanks to them also. One and a half year is now gone since I posted about my work for ARM support in the OBS and the work for a port of openSUSE to ARM. Lots of things had happened in the meantime that are related, from my limited view most notably Nokia and Intel joining Moblin and Maemo to MeeGo (MeeGo is currently working on a number of Atom and ARM based devices), chosing to use OBS as build system and last but not least myself joining The Linuxfoundation (you will be not surprised to hear that I work at LF on OBS). In the meantime there had also been a major new OBS release 1.8/2.0 with a bunch of new features. Interesting is the fact that we adapted the cross build system for OBS to MeeGo, first developed for use in Maemo and openSUSE @ ARM. An improved version for the standard MeeGo releases, and for the MeeGo weekly snapshots is used in the MeeGo OBS System to build all ARM releases of MeeGo (the cross toolchain will later get part of the MeeGo SDK @ ARM), thanks to Jan-Simon Möller (In the openSUSE ML, the issue of reactivating openSUSE:Factory ARM builds were brought up. So it might be a good variant to backport Jan-Simons new solution back into openSUSE @ ARM for that purpose). All the MeeGo related OBS installations will move sooner or later to OBS 2.1. But now to the most recent work, Access Control support. A preview was shipped with OBS 1.8. Now an own OBS version, 2.1, will be dedicated to the introduction of this single new feature into the OBS mainline: Access Control (or abbrevated ACL for Access Control Lists). ACL means that there is control by the user on a per project or per package basis to protect information, source and binaries from the read access of other users in an OBS system and to hide projects or packages. What is the intended audience of ACL? ACL is intended for installations of OBS that require protection of projects or packages during work. This can be but is not limited to commercial installations of OBS, or semi public installations of OBS. How does ACL work? ACL sits on top of two features introduced with OBS 2.0: Role and Permission Management as well as freely definable user groups. ACL uses 4 specifically defined permissions (‘source_access’ for read access to sources, ‘private_view’ for viewing package and project information, ‘download_binaries’ for read access to binaries and ‘access’ permission to protect and hide everything and all from read access and viewing) on a user or group in the Role and Permission management. Also, the preexisting roles “maintainer”, “reader” and “downloader” had been modified with specific predifined permissions (which can at any time changed with the role and permission editor dynamically). And last but not least 4 new flags (namely ‘sourceaccess’ to signal a project/package has read protected source code, ‘binarydownload’ to signal it has read protected packages, ‘privacy’ to signal information/logfiles or status cannot be read and ‘access’ to hide and protect a project or package completely in all possible OBS API calls) had been added to the project and package descriptions to signal that some information is only readable by specific users or groups, or that information is hidden. How do I use ACL? There are 4 steps to use ACL (a part of them a optional and can only be performed by the Administator of an OBS instance). Step one is to assign the listed permissions to a role, user or group (this step can be done only by the admin, and is not needed for the predefined roles “maintainer”, “reader” and “downloader”). Step two is to add a group for special users to projects which are intended to be run with ACL (this operations can only be performed by the admin). Step three is to protect a project with appropriate protection flags at project creation by adding them to the project meta. Step four is to add other users or groups with one of the new predefined roles that has ACL permissions added to the project meta. What information can be protected by ACL? The protected information is grouped into 4 categories. Category 1 (flag ‘sourceaccess’) is source code. Category 2 (flag ‘binarydownload’) is binary packages or logfiles or builds. Category 3 (flag ‘privacy’) is project or package information like build status. Category 4 (flag ‘access’) is all viewable or accessable information to any project or package (full blocking of all access and information). <!-- disable read access - unless granted explictely. nor will any source or binary or logfile be accessable. <!-- project will not visible. What is the current status of the ACL implementation? The current status is that the complete API of the OBS git master had been instrumented with ACL code, critical portions of the API controllers had been code inspected and a big portion of these API calls now have a testcase in the OBS testsuite. Work is ongoing to make ACL as secure as possible. A code drop of current git master is under test in some bigger OBS systems, most notably the openSUSE Buildsystem. You can find snapshots of this codebase as usual in the OBS project openSUSE:Tools:Unstable. Adrian Schröter updates these “Alpha Snapshots” relatively often, on a 1-2 weekly basis, and runs the testsuite on git master daily. Thanks to Jan-Simon Möller for putting in many of the testcases into the testsuite for the ACL checks. On OBS Testing in general, read also Development and Test. What is next? Code is tested and debugged against granting unwanted access due to some concepts inside OBS that are “working against ACL”, like project or package links, aggregates or kiwi imaging. We will inform you interested user of course about beta releases and an official 2.1 release. openSUSE:Factory. Now its time to integrate this into the build process. in the build process can also be improved, just think of the bash. Some patches for the Build Service were also commited to svn.